And it was on sale! 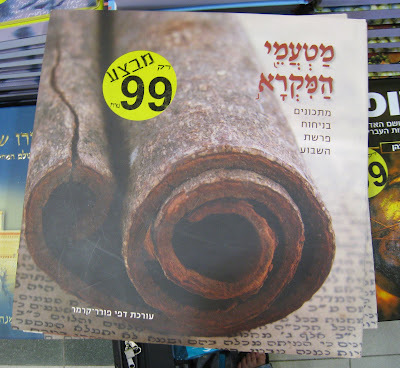 I didn't buy it, though, because I rarely cook, and when I do, even more rarely from recipes, and when from recipes, never from recipes in metric, and even if I would cook from a recipe in metric, never in Hebrew. Cool! Thanks! It has a completely different title (and not nearly as great) in English, and the focus appears to be different, but based on this Jerusalem Post review, it is the same book.